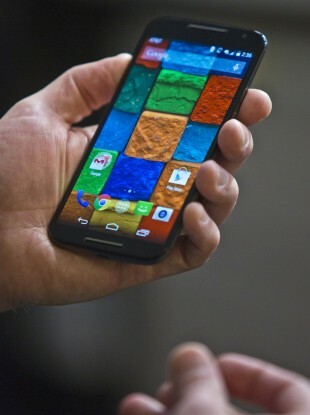 The Moto X is one example of a new smartphone you can buy unlocked. SO CHANCES ARE you’re thinking of getting yourself or someone else a new phone and you might have an idea of what device to get (if you don’t, we have a guide detailing the best ones). But what if you want to go off the beaten track a little and look beyond the usual carriers and phones? Well, you can opt for unlocked phones from abroad, but while most of them are cheaper than what you find in stores, there are a few things to take note of before you jump in. What’s the difference between unlocked and SIM-Free? While they’re used interchangeably, there is a small but important difference between the two terms. Unlocked is exactly as it sounds: it’s not tied down to any particular network and any SIM card can be used with it. A SIM free card offers the same functionality but it might not work with certain providers, somewhat limiting its use. The obvious benefit is that you’re not tied down to a new (usually expensive) contract whenever you get a new phone. Those currently on a cheap contract might not want to pay extra for features and service they may never use. The immediate drawback is you will be paying the maximum amount for a device, although the cost of this will vary between devices. Devices from smaller manufacturers like OnePlusOne, Motorola or Cubot would be much cheaper than Samsung or Apple, but the lack of familiarity or exclusivity (the OnePlusOne is still invite-only) may be a barrier for some. The other is while you usually get a one-year warranty, solving an issue with your phone can be more testing since you have no carriers to go to. You will have to deal with the manufacturers directly and the experience can vary wildly. While you can get third-party insurance, whether you think it’s worth it or not will really depend on how likely it is that your phone will get stolen. For one, paying for a device is easier since the carriers subsidise the initial cost. This is better if you’re paying for an expensive or high-end device like the iPhone which would require a significant investment if you were buying it unlocked. However, you will be paying more over the long-term when you combine the overall cost of the contract and device. No matter what contract you go for, you will be paying roughly the same amount for the duration of your contract (This should also be considered if you’re buying an unlocked device). The main reason for getting a contract is if you’re a heavy user. Whether it’s data or calls and texts, a contract will end up being cheaper in the long-run if you’re using it constantly. If your device has a problem, sorting it out is much easier since you can just go into the store of whatever carrier you’re with. Usually the staff will manage to sort out any software problem that might happen or it not, send it away for repair or issue a replacement. Again, this applies under the warranty (usually lasts a year or two) or if you have insurance with them. Prepay requires you to pay the full amount for a device, but you’re not obliged to spend a certain amount every month (although you’re given incentives to top up monthly). Like all things, you should do some research first before you think about parting with your cash. Here are a few things to consider. - Are you buying directly or from a third-party site? - Where are they based, and do they deliver to your area? - Are there contact details (email, phone number, social media, etc.) for the manufacturer/store if something goes wrong? - What are official reviews like (if you’re unsure of quality, reliability, etc.)? - How much are delivery charges? Email “It can be cheaper, but is buying an unlocked smartphone better?”. Feedback on “It can be cheaper, but is buying an unlocked smartphone better?”.